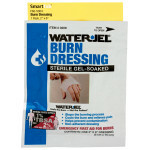 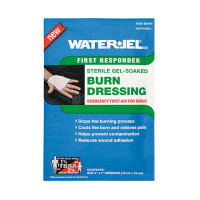 Our Water-Jel burn wrap acts as an emergency first aid blanket in the treatment of burn victims. 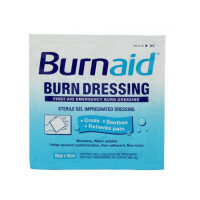 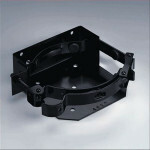 It's infused with a cooling gel designed to draw heat away from the burned area while offering soothing comfort. 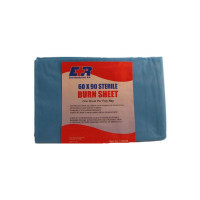 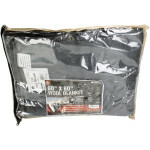 This burn wrap cools the skin, protects from airborne contaminants and stabilizes the victim for transport. 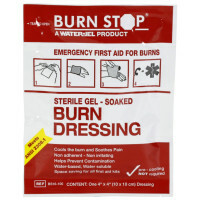 Ingredients: Octoxynol 9 N.F., Glycerine (USP), Keltrol, Germaben II, Oil of Melaleuca Alternifolia, Di Water, E.D.T.A. 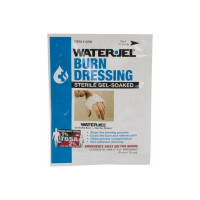 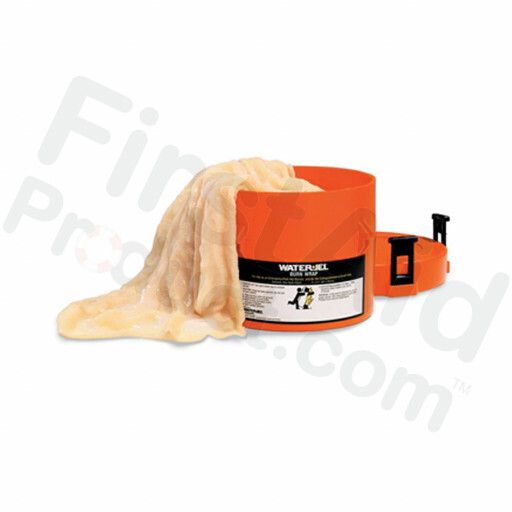 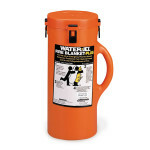 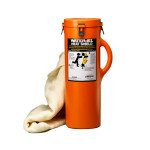 Water Jel Brand 3' x 2½' Heat Shield, w/ Canister - 1 each.